We’ve shown some photos of Peggy and Archie out on their favourite walks. Why don’t you send us some photos of your dogs out on their walk or in a funny situation! 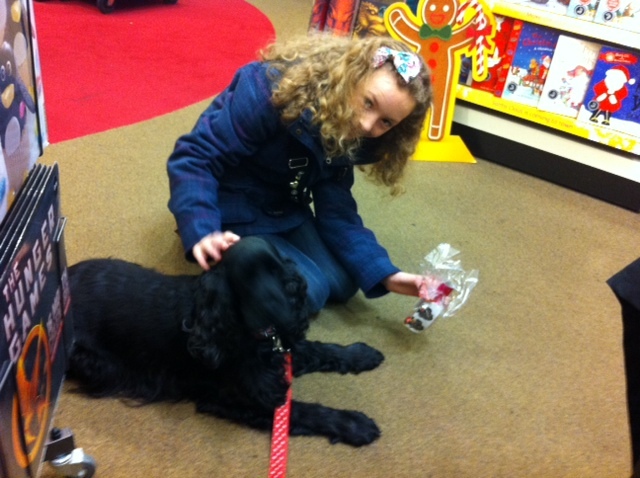 This is Peggy with one of her fans at Waterstone’s in Stratford upon Avon. We went there to do a book signing. 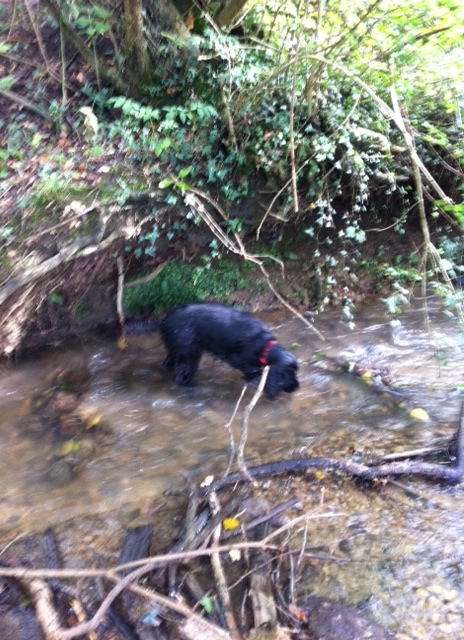 This is Peggy’s favourite walk, she just loves messing about in water! 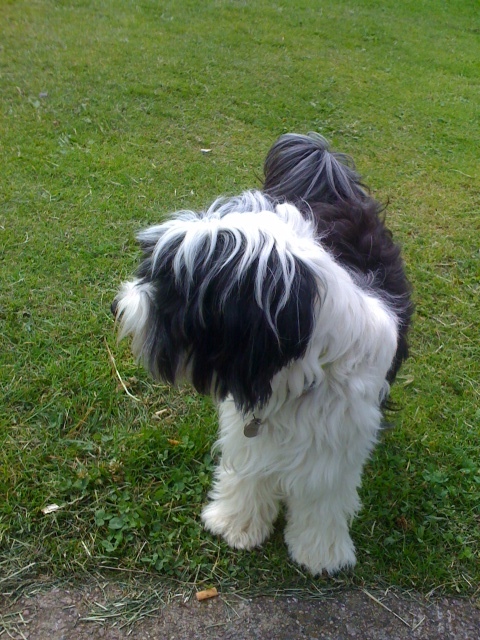 Here’s Archie on his morning walk – guess who Archie is looking at? Yes, Peggy is just around the corner….